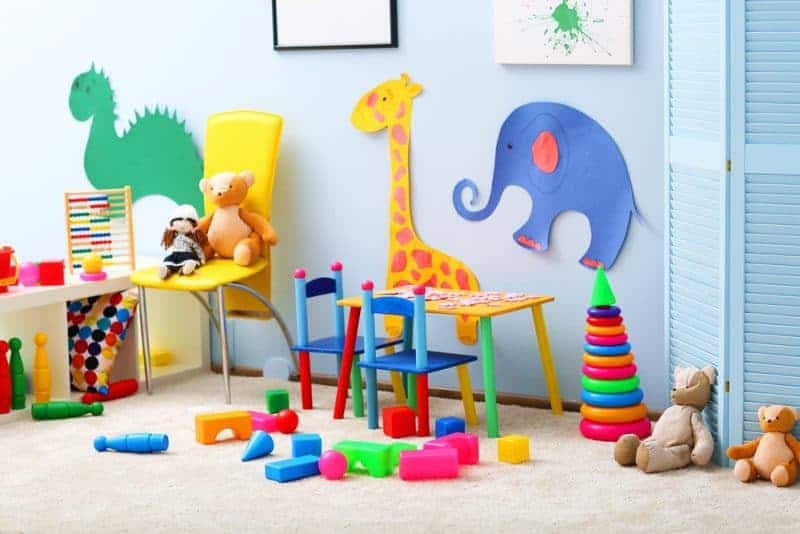 From playroom decor, to furnishing your playroom and creating play zones, these kids playroom ideas will help you set up a playroom in your home. There are only so many rooms in a house. And when you’re lucky enough to have some extra space, deciding whether you should have another bedroom, or a place for your at-home office is a hard call. But before you make your decision, think for a moment how great it would be for your family to have a playroom. Of course, every room is a play room to most children. But if you can make one specific corner of the house appealing, with different forms of stimulation, able to store all of your children’s favorite toys and activities, then you might just have yourself an ideal situation. 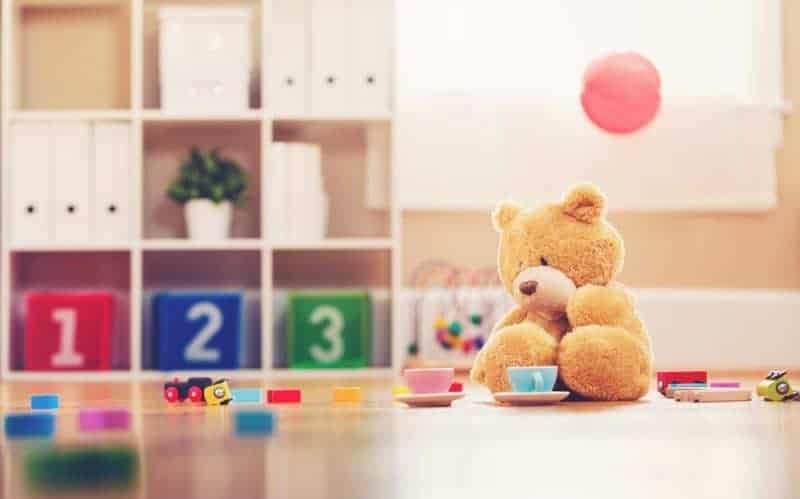 What are the benefits of a specially-designated playroom for children? Well, for one thing, having a designated play space will allow your children more independence in play, which is a really emotionally healthy thing most of the time. 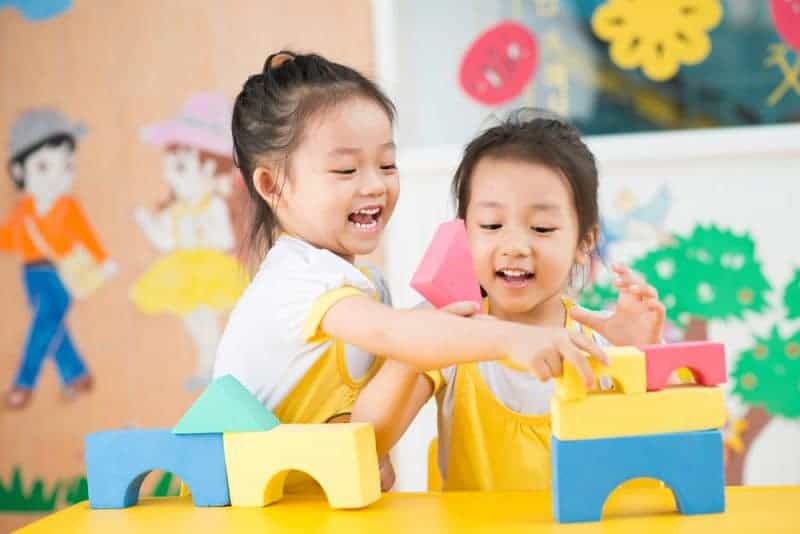 Independent play (or interdependent play with several children, away from constant adult supervision) helps children build personal coping skills, problem-solving techniques, and more self-reliance. It can be a great thing for emotional intelligence, not to mention your own peace of mind. Then, of course, there’s the fact that usually, a child’s bedroom becomes their major play space and the place where most of their toys live. This works for many children, but if your child has a hard time with sleep, removing the extra stimuli can be a really good thing. For one thing, there won’t be as many pulls on their attention when it’s time to sleep. For another, having a room specially designated as a place where only sleep happens helps send subconscious signals that tell our body to start the relaxation and sleep process. It’s an important life adjustment to help with insomnia at any age. Last of all, there’s the mess. I certainly can’t promise that having a playroom will prevent you from ever tripping over a toy car in your kitchen again. However, it will greatly reduce the sprawl of toys that little ones create for us every day. If you can make your playroom fun and functional enough, you’ll find that children spend the majority of their play time in there, keeping you from having to straighten up the living room quite as often. 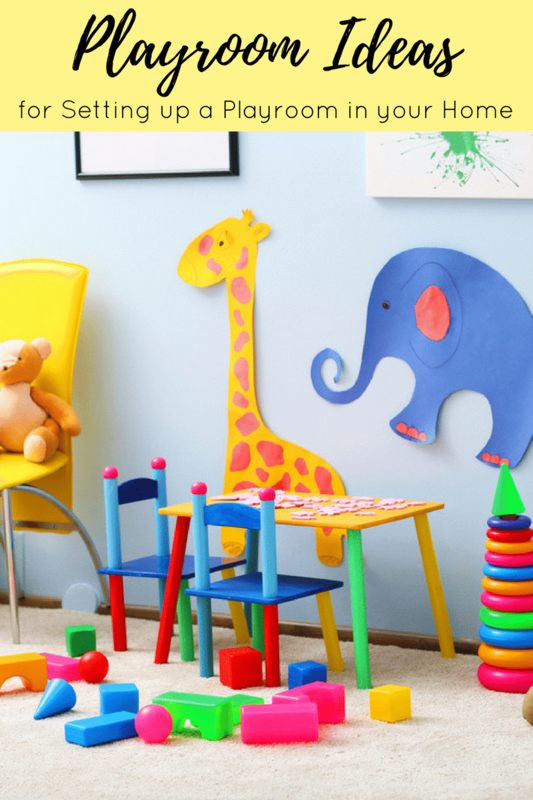 Here are some ideas to help you make the kids playroom the best space it can be. You don’t want to spend a bunch of money on furniture in the playroom. After all, you can bet that everything in there is going to be treated with some really rough use, because that’s what kids do. So, find ways to save on furnishing costs, and remember to make everything in there child-friendly. That might mean beveled corners, child-safe paint, and maybe even adjustability that will allow them to move things around themselves. Here are some great ideas for furnishing on a budget. Wall clings are perfect for kids’ rooms and playrooms: they’re whimsical, they don’t take up extra space, and they’ll never fall down while your children roughhouse around. You can get colorful, educational posters online for 10$ or less. Nothing makes a playroom into a fun destination like creative architecture. Don’t be afraid to get creative and make a treehouse loft, a pirate ship in the corner, a small slide, or a giant tree. Features like these can help to foster creativity in your children as well. When it comes to kids playroom ideas, creating a number of different play zones or play centers is one of my favorite ideas. Different play zones will help you to keep messes contained, and keep your children from being bored. Finding visual and practical ways to partition off certain spaces will make it feel like there’s a lot more than one room to run wild in. And remember, a station that might feel small and constrictive to you will feel a lot less so for a child. For example, there might be a really open padded-carpet area that you anticipate children doing physical activities in. On the other side of the room, you might find a craft table equipped with glue and paper for fun DIY projects. Across the way, you might find a doll house with boxes full of dolls and clothes. What are your favorite kids playroom ideas? Share below! We have a play room at our new house….filled with shelves, great ideas I’m finding…thanks for sharing!!! Having a playroom or even a play nook in your den or basement is a great thing. I wish we had a playroom!